Every room is equipped with latex pocket-spring mattress, latex pillows, and clean bath tub which offers our guests a comfortable and pleasant stay. 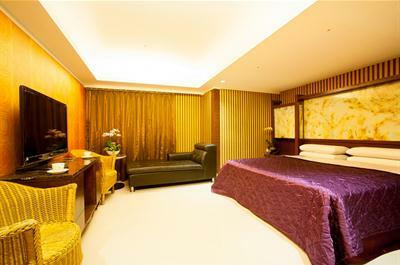 All rooms also provide 42-inch flat screen LED TV, wardrobe, dressing table, telephone, refrigerator and other amenities. These accommodations are designed to make our guests to rest at ease and feel like as if they were at their own home after a long day of traveling and working. ※ Each room has free bottled mineral water, coffee, and tea bags. ※ Free fiber optic broadband internet access and television programs. ※ Free healthy breakfast with various choices.